The Coalition "Justice for Peace in Donbas" is an informal alliance of 17 human rights organizations and initiatives. The participants combined their efforts to document human rights violations committed during the armed conflict in Eastern Ukraine. 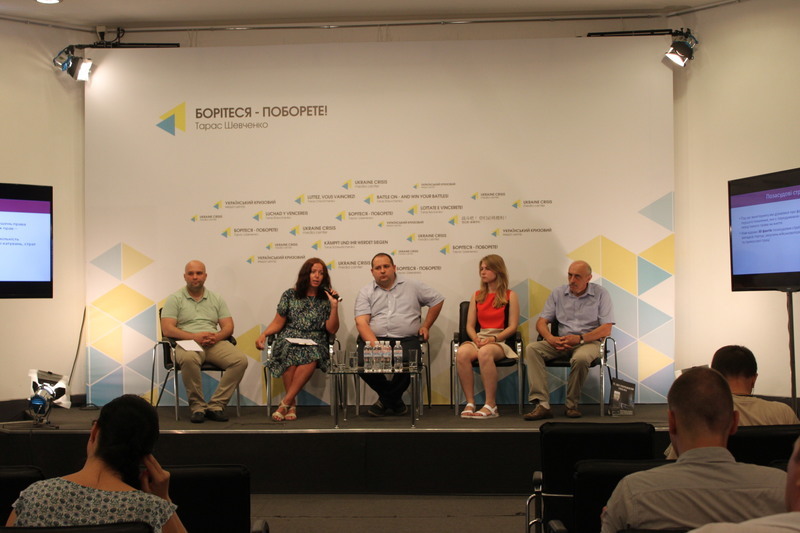 During the event human rights defenders devoted special attention to the presentation of the newly established website containing an interactive map of human rights violations in Donbas committed during the armed conflict. An important part of it is thematic sections with the unique content created on the basis of the information collected by members of the Coalition about human rights violations in the Donbas. However, the most important feature is the ability to collect information about such facts directly from visitors through form on the website. "Part of the crimes committed during war is war crimes and crimes against humanity. They do not have a limitation period, and guilty will be brought to court," said Volodymyr Shcherbachenko, the coordinator of the Coalition "Justice for Peace in Donbas". "We are working to ensure such trials began as quickly as possible. For this we need more reliable evidence. That's why we have created on the website a form that will allow citizens to report on the known crimes. We are appealling primarily to residents of Luhansk and Donetsk: Do not be afraid! Send information about violations known to you. We guarantee confidentiality and priority attention to the needs of those who suffered from tyranny. Without this information we will not be able to restore justice and peace in the Donbas", said the activist. Human rights activists also informed the participants about the work plans for 2016. 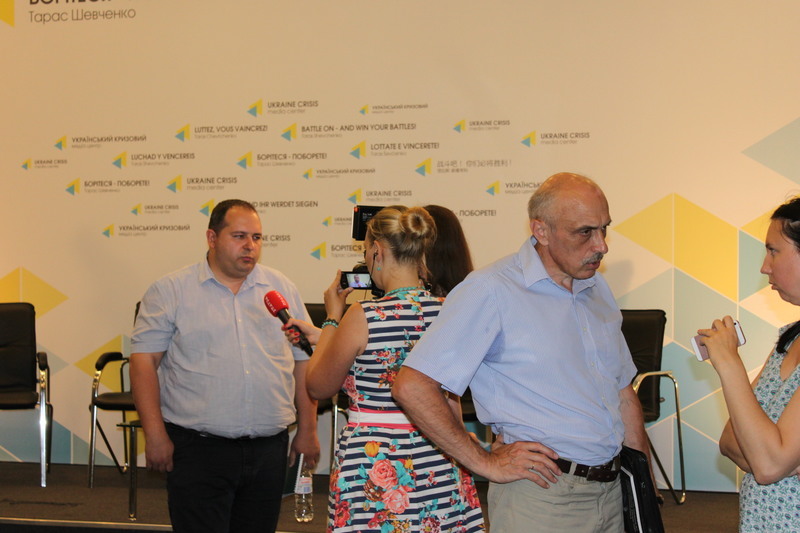 Kateryna Vizhevska (NGO "Myrny Bereg") told about documenting extrajudicial killings told. Denis Denysenko (NGO "Luhansk regional human rights center "Alternativa") shared statistics on attacks and destruction of medical facilities. "…We collect, process and systematize data on missing and illegally detained persons. We also inform to the society and the authorities the importance of this problem and its solution methods. We know that during the armed conflict in Eastern Ukraine extrajudicial killings committed without a proper judicial process were not few. We also know quite a number of cases of torture, borrowing of prisoners of war to torture, executions and forced labor," said Kateryna Vizhevska. The big problem today is the situation with the destruction of health facilities that in accordance with the requirements of international law are forbidden to attack. According to the data, 32 medical institutions are completely destroyed in the fighting in Donbas, 17 hospitals are damaged, but remain operational. Oleksandr Pavlichenko, Deputy Director of the Kharkiv human rights group (pictured second from right) reported on the specifics of documenting cases of gender-based violence. "The heaviest and most violent crimes are often used in the information war. Because the worse the crime, the less critical it is treated. People say, "How awful!" instead of thinking, "This is nonsense, this cannot be!" It is therefore important carefully to provide investigation and especially the prevention of such crimes", said Oleksandr Pavlichenko. The activities of the Coalition "Justice for Peace in Donbas" are funded by the UN Development Program in Ukraine, International Renaissance Foundation and the Ministry of Foreign Affairs of Denmark.